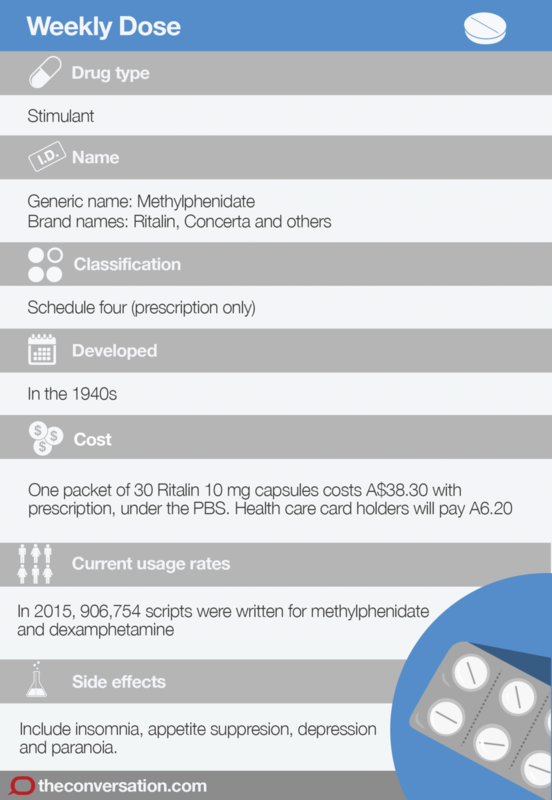 Pharmaceutical company Novartis owns the name Ritalin, but methylphenidate is marketed under other brand names by other manufacturers; such as Concerta which is produced by the company Janssen. Methylphenidate was developed in 1944 by pharmaceutical company CIBA, now Novartis, as a stimulant. Although methylphenidate is chemically different to amphetamines, its pharmacological properties are similar. In the late 1950s, it was sold to treat chronic fatigue, depression, narcolepsy and also for sedation caused by other medications. 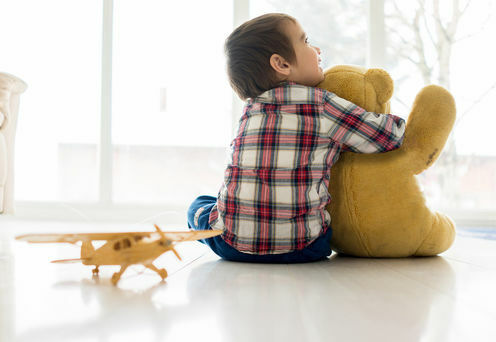 It was later found to improve behaviour in children who were hyperactive and impulsive. In the 1960s, research on Ritalin was focused around treatment of “hyperkinetic syndrome,” which would eventually be called attention deficit hyperactivity disorder. In 1996, it was reported the United States accounted for around 90% of total world manufacture and consumption of Ritalin. People with ADHD have deficits in their executive functioning, which means their thought processes are less efficient than those without the disorder. If a person with ADHD is going to complete a task, the task either has to be easy, short, or sufficiently interesting or rewarding to fully engage their attention. 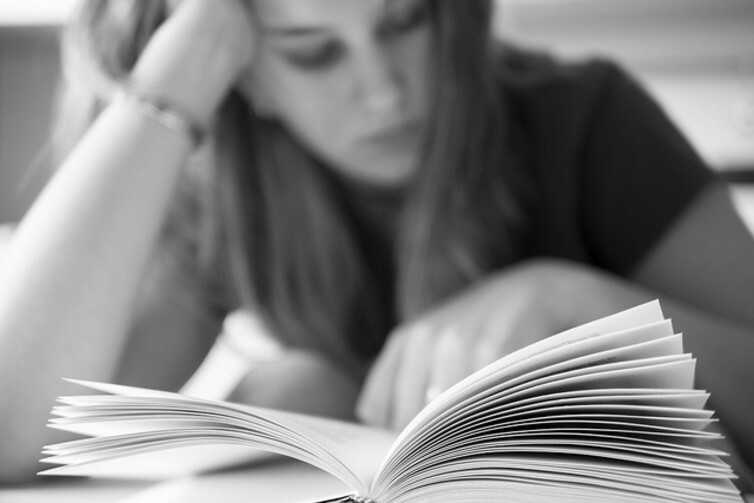 Tasks such as studying may require a prolonged and intense period of concentration which a person with ADHD would typically find difficult to maintain. Methylphenidate is similar in structure and function to amphetamines, such as dexamphetamine, which is also used to treat ADHD. These stimulants increase concentrations of the neurotransmitters dopamine and noradrenaline in the brain, which enhances communication between brain cells. Effectively, this makes the mind work more efficiently, requiring less effort to get a task done. ADHD is not a categorical diagnosis but a continuum. This means although some people clearly have ADHD and some clearly do not, there are many shades of grey between the two extremes. It is therefore not surprising stimulants also improve mental efficiency in people without ADHD. The main difference is people with ADHD have more concentration problems and therefore show more scope for improvement on stimulants. ADHD is most commonly diagnosed in primary school, and the child is usually started on treatment at this time. Both methylphenidate and dexamphetamine come in immediate-release tablets which last for around three to six hours; dexamphetamine lasts slightly longer than methylphenidate. After taking a dose, the drug concentration rises to a maximum and then falls. Everyone has their own therapeutic range, which is the concentration the drug has to be in order to be effective. The doctor normally establishes the appropriate dose by starting at a low dose and gradually increasing it over several weeks to find the most effective dose. If the person’s optimal dose is exceeded, their functioning becomes less efficient and negative effects increase. The executive function deficits associated with ADHD are consistent over time, but people change as they go through different stages of development. As children progress through school, the demands on their concentration increase, and untreated ADHD is often associated with declining grades. Around 11% of Australian children and adolescents had diagnosable ADHD in 2007 although most were not treated. 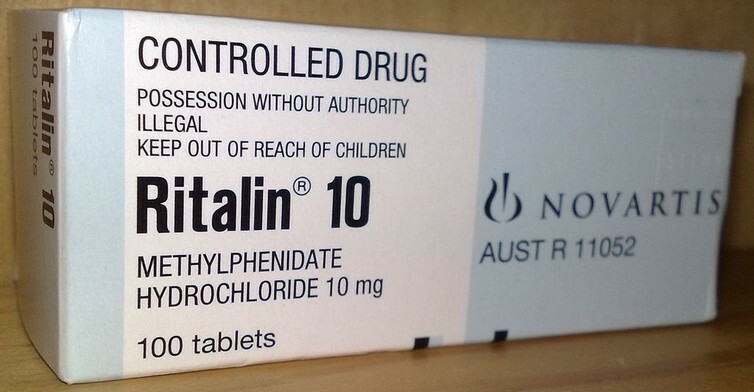 Between 2002 and 2009, prescriptions for stimulant drugs to treat ADHD among Australians reportedly rose by nearly 90%. This can be explained by the introduction of newer, sustained-release tablets, which meant doctors could better tailor treatment to the individual – by combining immediate-release and sustained-release formulations for instance. This led to more prescriptions per person per year. In 2015, around 906,754 scripts were written for methylphenidate and dexamphetamine. Methylphenidate is subsidised under the Pharmaceutical Benefits Scheme (PBS). One packet of 30 Ritalin 10 mg capsules costs A$38.30 for those with a prescription, or A$6.20 for health care card holders. The side effects of stimulants are dose-related, the most common being appetite suppression and insomnia. In overdose, methylphenidate is associated with rapid heart rate, high blood pressure, irritability and agitation. Ongoing stimulant abuse can also be associated with malnutrition. Is it a performance-enhancing study drug? 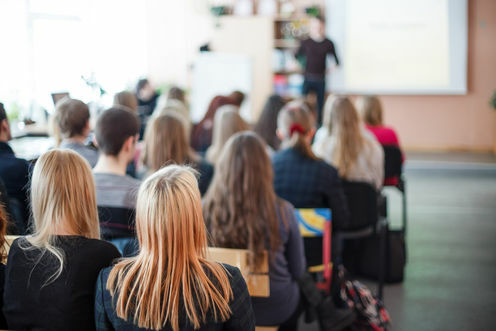 After leaving school a person with ADHD has more opportunity to choose a career that matches their strengths and interests and many stop treatment. But for those who go on to study at university, academic demands increase and students with ADHD are likely to remain on medication. This means some people at university have legitimate access to Ritalin. But there is ongoing concern these stimulants are being diverted to, and abused by, those who do not have ADHD but are hoping for cognitive enhancement. There is evidence of an increase in methylphenidate abuse by people who don’t have ADHD, with one study showing a threefold rise between 2004 and 2014 in NSW. It might be argued it’s not a problem for a person without ADHD, who understands how to use Ritalin, to take it for studying. But it is illegal, and it may give an unfair advantage in the same way as performance enhancing drugs in sport. Alison Poulton works for the University of Sydney, has consulted for the Shire and owns shares in GSK. She has received research funding from the Australian Women and Children's Research Foundation and the Nepean Medical Research Foundation. She is a Fellow of the Royal Australasian College of Physicians and the Australasian ADHD Association.